Fletcher Christian: But I assure you, sir, that the execution of my duties is entirely unaffected by my private opinion of you. We now happen upon another in a long line of good guys who populated the Memorial Stadium environs of those days: linebacker Doug Colman. You heard from Jerry Weber earlier how sometimes you find yourself ‘latching onto’ a guy for some reason or another, whether it be his underdog status, his disposition, his unique plight, et cetera. 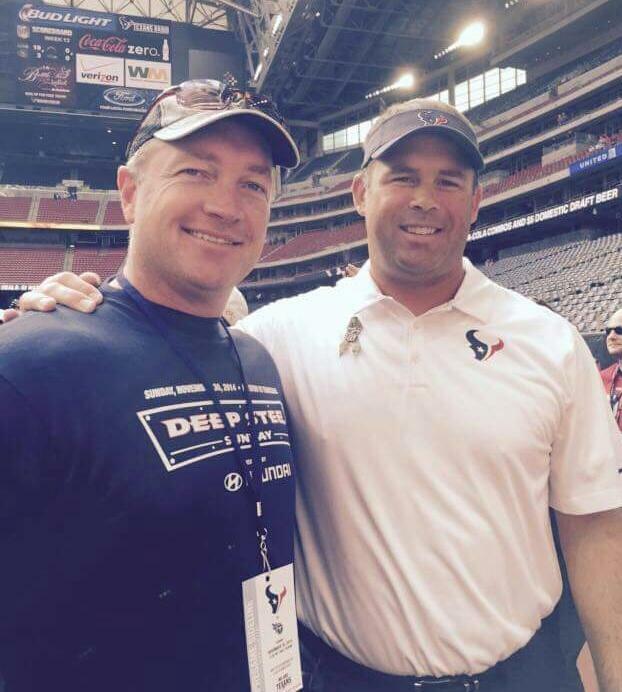 Well, I always held Doug in kind regard, for he was a hard worker, had a very friendly and even-keeled temperament, and found himself many times in Linebackers Coach Kevin Steele’s doghouse (along with a few others, I might add). A Lincoln preacher once sermonized, “Sometimes you’ve got to know what you don’t believe in in order to know what you do.” To put it frankly, Doug found enlightenment from both sides of the coin during his time as an undergraduate and can presently say that it served him well. 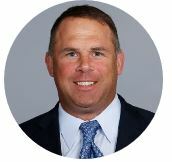 I tackled him while he was serving a term as the Huskers’ defensive quality coach before he was spirited away for the full-time coaching position down in Louisiana and then to his current position as Assistance Special Teams Coordinator with the Dallas Cowboys…. Question: Hey Doug, thanks for your time here. Doug Colman: No problem, we’ve been pretty full-on already here. There’s a lot of young kids and a lot of teaching going on, that aspect of it. Q: Do you like that aspect of coaching? DC: I should have taken it from him, but I knew there wasn’t anybody else around. So, no problem. Q: You come from a line of coaches, don’t you? DC: Yeah, my dad was a high school coach and track coach. And he also was an NFL player, too. He played nine years in the NFL. Q: So you being a player in college and then going to the pros, did you already have a unique perspective about that experience? DC: Not really. To tell you the truth, when I was growing up I really didn’t realize the significance of my father playing pro football. He retired and started coaching when I was 3. And I started playing football when I was 7, and the only reason I started playing football was because all my friends were doing it and I didn’t want to be left out of the crowd. Q: Did you ever have any connection with Clayton Carlin, with his dad’s working for the Eagles for some years? DC: He’s at Cornell now, correct? He used to recruit New Jersey when I was playing high school there and he’d be looking at guys. There was a kid he wanted who ended up at Delaware as a wide receiver. The guy was the quarterback of our state championship team, he actually walked on and became starting wide receiver this year. Q: You coached a state championship team back there, right? DC: Yeah. My first year out of football, 2001. I had just gotten married and just bought a house. Actually, the day we’re settling in the house I’d just gotten released from the Jets. I wasn’t sure if I was done with football and all that, in my head. I’d just gotten that, and we’re going to settle on the house, and the day we went to sign the final papers was 9/11 and the first plane goes into the World Trade Center. So that was going on, and things are all kind of discombobulated and I’m thinking, ‘Boy, if I was up in New York right now and my wife, who is kind of new to that area, what would she be thinking? And would I even be able to call her on the cell phone while all this was going on?’ You know? And as we’re signing the papers the second plane went in. So a lot of things happened: my father had a real bad injury to his knee and had surgery and got a real bad case of staph infection. We weren’t sure how that was going to turn out with him. And he was actually coaching freshman football at the time. I wasn’t even thinking of getting into coaching. I was training, and at that time I took over and was coaching his freshman football team. It was my first coaching gig. Q: After being a player for some time, how did that come to you? Did you have to work at it or did it just come naturally? DC: My major was Physical Education. I completed my student teaching and so on, so for me it was kind of natural. My dad was a teacher, my sister is a teacher, my aunts and uncle, and my wife’s a teacher, so everything was kind of natural. DC: I met her my senior year at Nebraska. She’s from Silver Creek. Now it’s Twin Rivers High School. Q: So ’91 was your first year. What do you remember about that first day? DC: I remember I came in and we had to do our heights and weights and our physicals and stuff, and I remember jumping into a truck with Christian Peter, Ken Bello and Barron Miles. I’m not sure who was all there in the truck, but we had four guys from New Jersey join the team that year. We headed over to the Medical Center and we did our physicals at that time. Q: You didn’t know any of those guys previous to that, did you? DC: No, I didn’t know anybody. 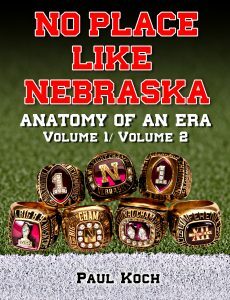 I came to Nebraska with my mind mainly focused on football. I had dreams of playing in the NFL and, realistically, it was more about going to a place, a football factory, and maximize what I could do as a player. And that’s what I thought at the time, just being honest with you. Q: And saying that, Doug, you seemed to have a change of mind or a change of heart further down the road? At that point my heart kind of turned. My focus went away from ‘Me, me, me, me, and what can this place do for me?’ to more about ‘What can I do to help this team?’ And my focus got turned to, ‘Hey, what can we do to win a national championship?’ So we were more of team-oriented thing. 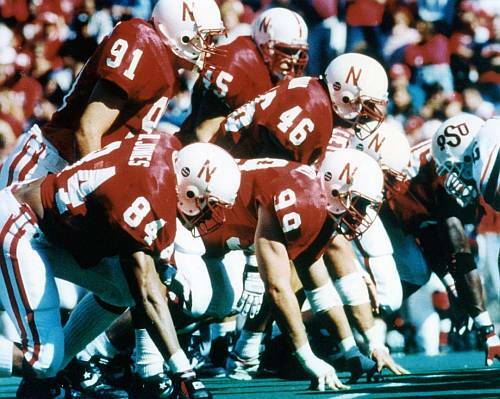 I started looking at these guys coming into Nebraska -especially the kids who gave up scholarships to Kansas State and Iowa State and Kansas just to walk-on at Nebraska- and I figured, ‘They gave up so much to come out here.’ And it starts to kind of wear on your heart a little bit and I kind of, you know, felt myself feeling like, ‘Hey, there’s something bigger than me here.’ And the group of guys that we had at the time kind of started to boil at that time. We had a lot of close games and basically topped off in ’93 when we lost the national championship to Florida State. And even that, it was like that game was fixed, you know? It was one of those things where I think we really, truly felt the powers that be were thinking, “Hey, it’s Bobby Bowden. It’s time he won a national championship” and that type of thing. If you go back and look at that film you can just see how many blown calls there were in that game that really affected the outcome. But that ’93 game, all those guys? I always felt terrible about them because people always want to talk about the ’94, ’95, ’97 teams, about the national championships. But all that time leading up -I especially felt this way, from my freshman year on- those ’91 guys, ’92 guys, and ’93 guys, they were the ones that kind of started getting everything going again and really started getting that team atmosphere and getting everybody to commit. Those workouts in the summertime? I can remember those workouts after ’93; we all made a commitment to each other that we were all going to really work hard in the offseason and get ourselves together here. And we had that opportunity, which for me was phenomenal to go play in the Kickoff Classic back home in New Jersey. And that first game, that kind of set the tempo. People didn’t know what to expect from us, and we just went out there and completely dominated West Virginia. Q: You were Big 8 Defensive Player of the Week for that game, if I recall? Q: From one coach to another coach, what would you say about or describe Coach Kevin Steele? How you gelled or didn’t gel? How was that dynamic? DC: Wow. (short silence) I’ll say I learned a lot from him. I learned a lot about myself and a lot about people. I think it’s really affected the way I coach. I’ve had a lot of good coaches in my time and I’ve had a lot of bad coaches in my time. I hope to emulate the good ones, but I also understand what the bad ones do. And I know people have different relationships with the same people. I didn’t learn a lot as far as technique that I applied that made me a better player (though some stuff I was able to use in the NFL). I had Steele up to my junior year and had Craig Bohl my senior year. Q: How was that change? DC: (laughs) Not any better. It was hard for me during that time, but I think it really made the difference in knowing who to surround myself with, get involved with. In the end, what really helped me out -even a coach deciding what kind of guys I need on my staff and the best way to win- the negative things that happen to you through sports, actually in the long run, can be positive. It does make you realize, “Do you really want it that bad?” And if you really want something that bad you’re gonna want to stick it out. And for me, I stuck it out and in the long run it worked out for me.